One of the services we offer to our clients at Ideal Homes is to manage the rental of their property after they have purchased. With all the recently published online scams to take into consideration when you are looking to book your holiday accommodation, it’s reassuring to know that all of our properties have rental licences, are well maintained and looked after by the most successful Real Estate Agent in the Algarve. Here are our top ten currently available holiday rentals. This lovely modern apartment is located in Cabanas de Tavira, which a small traditional fishing village with a beautiful harbourside walk taking you past some glorious fish restaurants as well as many other types of bar and restaurant. Cabanas has retained its olde worlde Portuguese charm and has not succumbed to the trappings of commercialism, making it the perfect place to enjoy a traditional Portuguese holiday away from the Brits Abroad culture of some of the lager resorts. 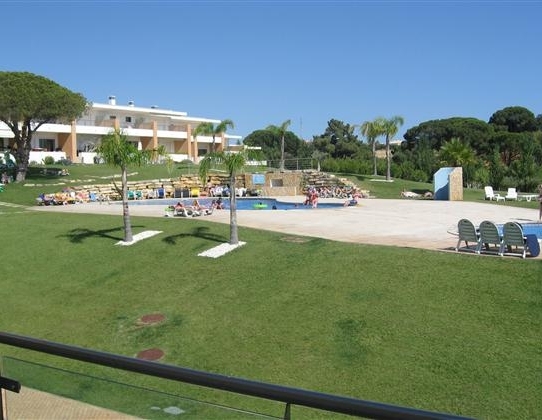 The apartment is situated on a great complex that has a bar and restaurant on site so you don’t even have to make the short walk into the village if you’ve had a particularly hard day sightseeing or sunbathing! This modern apartment has all the equipment necessary for a self catering holiday, air-conditioning and can sleep up to 6. Prices start from just 400 Euros per week. This lovely, peaceful villa is location in a secluded setting within the very exclusive area of the Golden Triangle which encompassed the affluent resorts of Quinta do Lago and Vale do Lobo. The villa is within easy reach of all the amenities, the beaches and, of course, the world class golf courses, but still extremely private and peaceful. It is perfect for those who wish to be close to the action whilst remaining undisturbed around the pool! There are 3 bedrooms and 3 bathrooms, a very well designed kitchen and living space and very comfortable furnishings on offer inside the villa, whilst outside you will find a large swimming pool with feature childrens pool, ample space for sunbathing and a covered al fresco dining area. The villa also has air-conditioning and wifi. With the capacity to sleep 6 and prices starting from just 600 Euros per week, this villa is an absolute bargain for this area of the Algarve. This beautiful townhouse is located on the ever popular Vila Branca resort just five minutes from the towns of Albufeira to the west and Olhos D`Agua to the east. This resort is always popular with families as it is set in 20,000m2 of greenbelt land and has a fabulous pool area. There is a little local bar and shop just across the road and restaurants within a 10 minute walk if you dont want to head into town. The townhouse itself is well finished and furnished with 2 bedrooms, 2 bathrooms, a living dining area and separate kitchen. There is also a little garden area with barbecue and a seating area. The townhouse can sleep up to 6 people, including 2 on a sofa bed, and prices start from just 450 Euros per week. 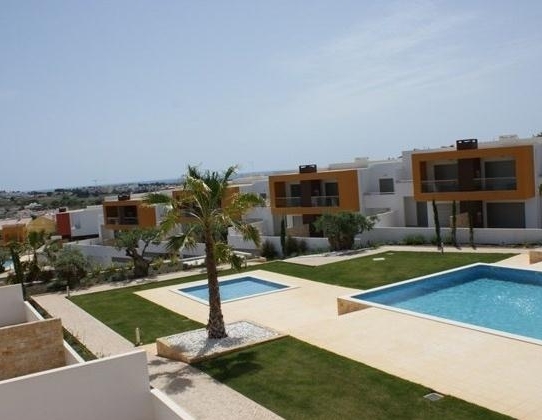 This luxury first floor apartment is located in the prestigious area of Porto De Mos in Lagos. Historical Lagos is only a 20 minute walk, or 5 minute bus ride away and is renowned for its beautiful, historical buildings, maze of traditional cobbled streets and stunning beaches. Porto de Mos beach is one of the best in the area and is a 5 minute stroll from this apartment. The apartment itself is finished to the highest standards and furnished just as beautifully. It has 2 bedrooms, 2 bathrooms, a lovely light, bright living and dining area and separate kitchen. There is a communal pool on site with ample sunbathing space and manicured communal gardens. Perfect for beach holidays for couples and families alike, the apartment sleeps 4 and prices start from just 450 Euros per week. This small but perfectly located apartment sits in the heart of Albufeira Old Town. 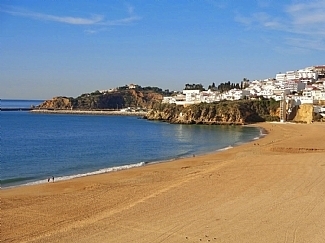 For those who want to experience a bit of everything during their holiday, Albufeira seamlessy combines its rich traditional heritage with the more modern demands of the sun and fun seeking holidaymaker. You can spend your days wandering the spiders web of cobbled streets which radiate out from the central square, or just lying on the beautiful beaches, and your evenings sampling some of the local fish and seafood or traditional cuisine, and partying until as close to dawn as you can manage! The apartment has 1 bedroom and 1 bathroom, a small living and dining area and a separate kitchen. Perfect for couples young and older, the apartment sleeps 2 and prices start at just 300 Euros per week. This stunning, luxury villa is located in Vale do Lobo, one of the most exclusive and prestigious areas of the Algarve. The villa is within walking distance of the beach and the Praca and is perfectly located to take advantage of all the facilities Vale do Lobo has to offer, including golf courses, tennis facilities, Spa facilities and childrens clubs, not to mention the range of high quality bars and restaurants. The villa itself has every modern convenience you could possibly want. Beautifully furnished and decorated, it even has a snooker table and a hot tub to cater for the tastes of every generation.. Perfect for a luxurious family or group holiday, the villa sleeps up to 10 people and prices start from just 4,750 Euros per week. 7, 2 Bedroom Clifftop Apartment In Lagos. This recently finished, extremely high quality apartment sits on the clifftops overlooking the beach at Porto de Mos with its clear blue waters and fabulous beachside restaurant. Just a 5 minute drive or bus journey from the centre of Historic Lagos, the area combines beauty, history, tranquility and relaxation effortlessly. As well as having the usual outdoor pool and garden area, this top class complex also provides a gym, jacuzzi spa, sauna and heated indoor swimming pool. The apartment itself is furnished with both style and comfort in mind. It is fully air conditioned with all modern facilities and a very large south facing terrace for sun bathing and outdoor dining, and fully equipped with all modern conveniences. Perfect for couples or families looking for a high quality, secure and relaxing holiday, the apartment sleeps up to 6 and prices start from just 500 Euros per week. Located in one of the most popular developments in central Lagos, this 2 bedroom apartment is finished, and furnished to the highest standards. There are 2 supermarkets within a 5 minute walk, and to walk into the heart of the city will take around 12 minutes. In 15 minutes you could be lying on the beach! 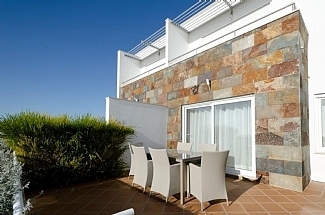 The apartment itself is light, bright, airy and modern, with 2 bedrooms, 2 bathrooms and lovely large private terraces. There is a communal pool on the development with great sunbathing areas and sunloungers are provided for the sole use of the guests in the apartment. Sleeping up to 6 people, this apartment is perfect for families and couples and prices start from just 400 Euros per week. This lovely villa is located on the outskirts of the very popular central Algarve resort of Albufeira, close enough to enjoy all the fun and the glorious beaches of the resort, but far enough away to escape the hustle and bustle and just relax. The villa is part of a small development of villas that share a communal pool, and have glorious views across the greenbelt areas to the sea. The villa is light and spacious and has 2 good sized bedrooms, a lovely large living and dining space and a separate kitchen fitted with modern appliances. Perfect for families or couples, this peaceful oasis on the edge of a bustling resort sleeps 4 people and prices start from just 500 Euros per week. 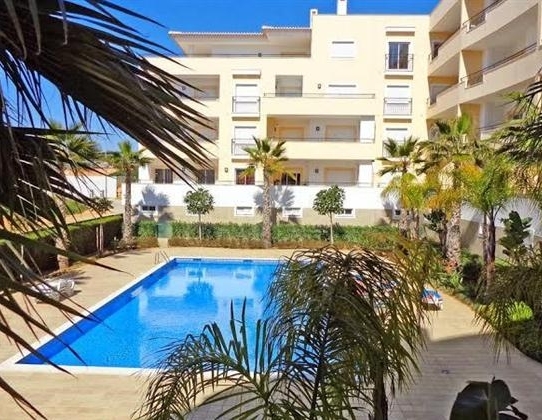 This beautiful, modern apartment is located in the Vale de Parra area of Gale, just a 10 minute drive from Albufeira and the main shopping center in Guia. Gale is famous for its beautiful beaches, of which there are 7, which range from beautiful coves with stunning rock formations, to glorious, long stretches of golden sand lapped by gentle waves. Most of the beaches also boast great fish and seafood restaurants. 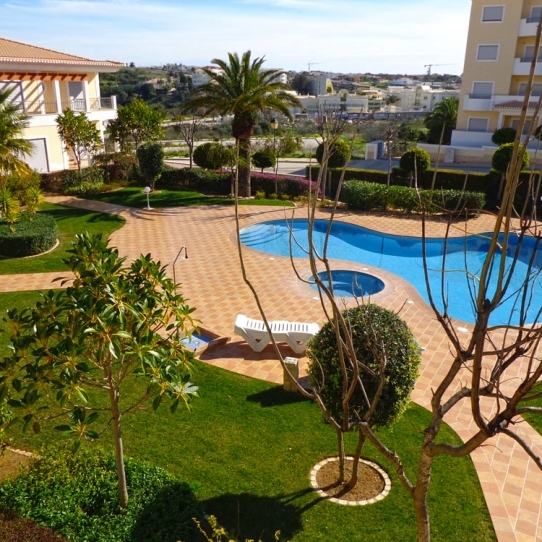 The apartment is located on a lovely development with 2 communal pools and lovely grassed areas. With this apartment being on the ground floor it has a lovely sun terrace overlooking the gardens and pool areas making it perfect for families as well as couples. The furnishings in the apartment match the modern style of the building itself, but at the same time provide all the comfort you could need. The apartment can sleep up to 6 people and is available from just 280 Euros per week.